Cleaned out the garage today. Moved all the tools into this cabinet thing I built a couple years ago. It's all held together by wood glue, with the exceptions being the lock and hinges. Nice to have everything all in one place finally and not in a complete mess. 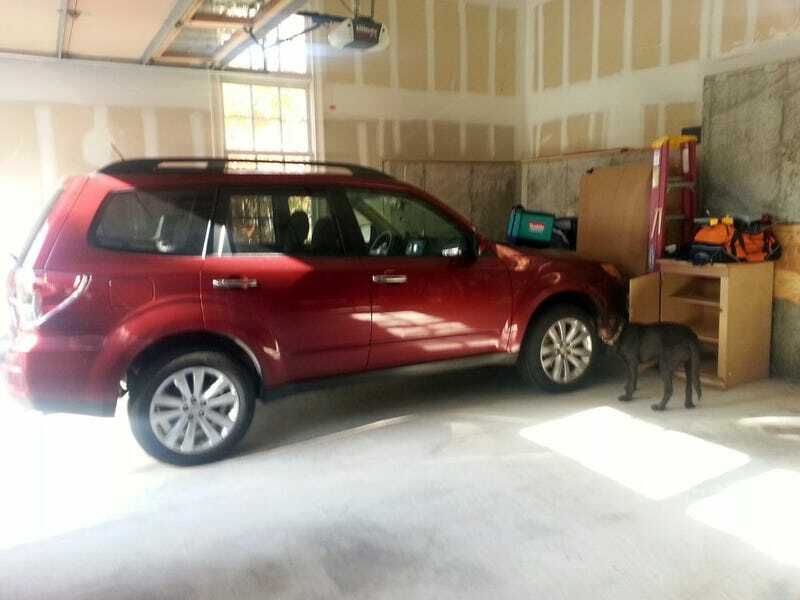 Moved a lot of things around and threw out lots of trash and junk... made enough space to fit another car in there, hence the Forester pictured.